Hey everyone! We have won the lottery to day hike whitney on June 13th and we also just found out that my wife is pregnant. She does not wish to join me, no big deal i don't think she was that interested in such a long hike to begin with. I wanted to know if there were any other options for outdoor activities in the area? She loves hiking, and is pretty open to alternative options. She just doesn't want to take on anything as ambitious as whitney in a day. We will be staying in Lone Pine and she wanted to stay within an hour or so, but is willing to drive further if it is worth it. She will be 4 months pregnant at the time, so no crazy restrictions. Keep in mind she has to get back to the portal to pick me up that evening. Now to get serious: Here is the perfect place for you wife to go and chill and enjoy the Sierra: Drive north to Independence, then up into the Sierra to Onion Valley. Probably about an hour given the Whitney Portal descent and Onion Valley climb. Hike up the trail several miles to Gilbert Lake. It's only a mile straight-line from the parking lot. 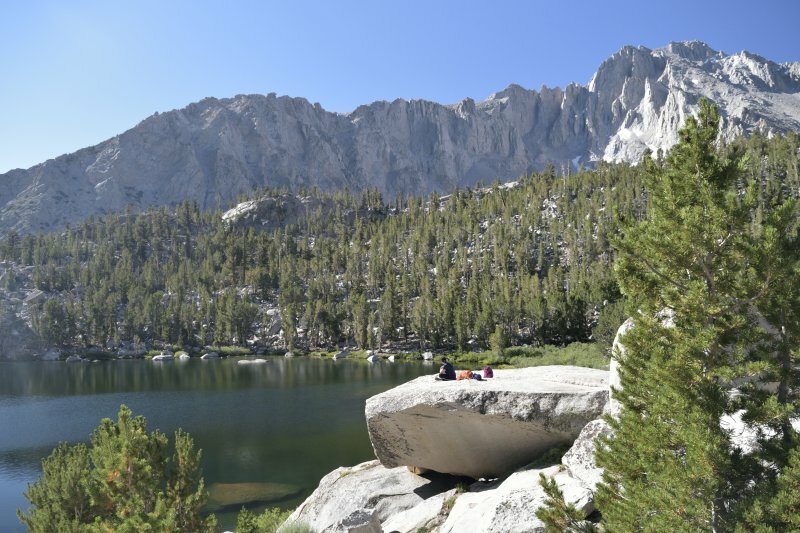 The Kearsarge Pass trail climbs 1200 vertical in about 2 miles and goes right past Gilbert Lake. Starts at about 9200', Gilbert is 10,400' elevation. Thank you, sir. Believe me, it has crossed my mind on the timing of all of this. Lol! That hike sounds and looks perfect! You all are an amazing resource and am really looking forward to the trip. Generated in 0.076 seconds in which 0.058 seconds were spent on a total of 14 queries. Zlib compression disabled.